As a recent Reddit thread points out, some people, particularly men, find the word "feminism" alienating, as if it only includes women or feminine people. Well, I'm here to tell you there are many reasons why the word "feminism" is empowering, not alienating, for anyone who chooses to identify with it. Rather than worry about offending people who don't understand what feminism is, we should appreciate what the word and the movement have done for us. 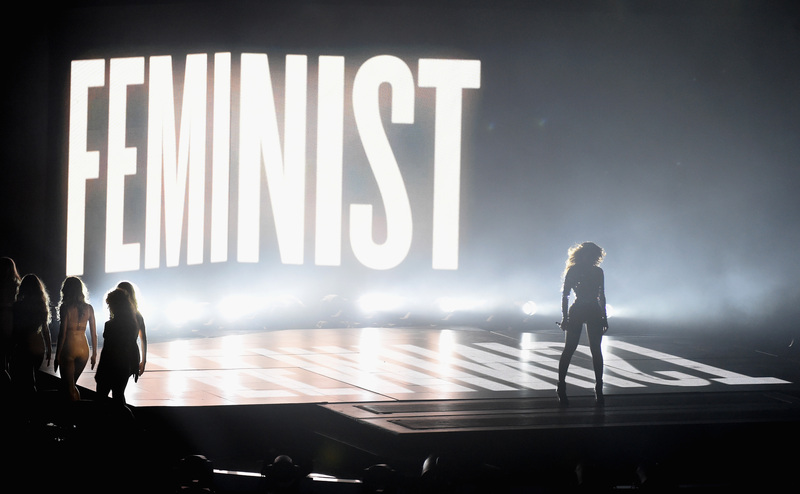 Objections to the word "feminism" often stem from implicit objections to the movement itself. Some people don't want to identity with a word associated with women because they don't want to acknowledge that women are disadvantaged or change that fact. These people may be afraid to acknowledge their privilege, attached to tradition, or sueded by anti-feminist propaganda. Whatever the reason, I'm skeptical of anyone who says they "just don't like the word 'feminism.'" If you don't like the word, chances are, you have a problem with what it means. If you do support the movement toward gender equality, however, the word "feminism" can be enormously empowering. Here are a few reasons why all supporters of equality — including men — should embrace the word "feminism" rather than deem it alienating. We say "feminism" for the same reason we say "Black lives matter." As Redditor GeekAesthete points out, saying "all lives matter" when someone says "Black lives matter" is like telling someone at a dinner table with an empty plate who says "I should get my fair share" that "everyone should get their fair share" — when everyone else already has theirs. We know that white lives matter. We know that men deserve rights. These rights are widely acknowledged and rarely in danger. Women, on the other hand, are paid less, routinely harassed at work and on the street, and sexually assaulted in college at a rate of 33 percent, just to name a few examples. When we use a word that sounds like "feminine" and "female," we acknowledge that our priority is to grant rights to the people who don't have them, not protect the privilege of those who do. 2. It's The Same As "Equality"
People who think we should say "equality" rather than "feminism" don't usually understand that that's what feminism is. It's not a bunch of women going around trying to claim superiority or obtain special treatment. It is women who want their humanity acknowledged. But don't take it from me; take it from the dictionary: According to Merriam-Webster, feminism is "the belief that men and women should have equal rights and opportunities." Even though feminism is egalitarian, "egalitarianism" has been coopted by men's rights activists as an objection to feminism — and "equality" often is as well. (At your own risk, check out the "egalitarianism" hashtag or subreddit if you don't know what I mean.) "Feminism" is one of the only words for gender equality that has remained under feminists' power, so using it gives us the ability to retain control over how we define ourselves. Feminism is not meant to exclude anyone who is not a woman. That would largely defeat the purpose, since it would create change in only about half the world population. It would also neglect the concerns of gender-nonconforming people, one of the most overlooked groups already. Modern feminism doesn't divide the world into two genders. We acknowledge the ways our gender may advantage or disadvantage us but also acknowledge the ways that privilege is multifaceted, the existence of people who don't fit inside the gender binary, and the fact that none of us totally fit within the gender binary. Many men have embraced feminism not just to be allies to women but also to liberate themselves from gender roles. While the three waves of feminism may have been focused on different issues, the feminist movement is what it is today because it has existed for over a century. Vestiges of the injustices that the suffragettes and other early feminists were fighting are still around, and by using the word they used, we acknowledge the long history behind the disadvantages women face at the moment and the hard work early feminists did to get us where we are today. That should be celebrated, not shied away from out of fear of sounding "alienating."